The word “camping” need not evoke an instant feeling of angst. We intend that you walk away from this workshop feeling more knowledgeable, more confident and eager to get out there and experience camping the way it should be! What is this workshop about? 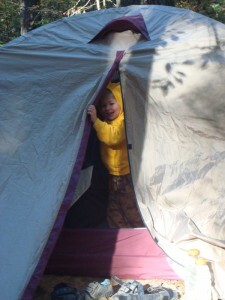 Most of us have a story of a camping disaster: sleepless nights and ravenous raccoons, bug-filled and leaky tents. Whether you are wanting to go camping for the first time, are interested in honing your camping skills, or thinking of stepping away from the car into the backcountry, this workshop provides time-tested, expert advice on all aspects of camping. We aim to educate people on how to live “out-of-doors” comfortably, safely, and without the disasters we remember from childhood. Where is the workshop held? We can come to you. This workshop can be held in any outdoor greenspace. Why is this workshop important? We believe in the proven health benefits of being outdoors and breathing fresh air and in the simplicity and balance that living outside can provide. Camping at its roots is one of the safest, most centered ways of living one can experience in our fast-paced, technological world. The inner peace gained while in the woods can be easily and readily integrated into everyday life. Preparation and skills are the key concepts that lead to a successful camping trip, but are often the key element missing. This workshop teaches important skills and provides expert guidance in preparing for a camping or backpacking trip. What will we do? We’ll cover gear, skills & techniques, and camping destinations. Every class is designed specifically around the interests and skills of the participants. You’ll gain hands-on experience with tents, several water purification methods, camp stoves and cookware, sleeping bags, and other gear. We’ll help you know what to buy and how to use thing you already have at home. Workshops may cover topics such as knot-tying, fire-building, camping site selection, proper food storage, camp cooking, menu planning and food selection, camp kitchen etiquette, hiking activities, water purification, tarp and tent pitching, backpacking preparation and planning, gear selection, route selection, following Leave No Trace ethics, basic plant and animal identification, weather planning, primitive skills (bow-drill, hand-drill, natural cordage making, bowl construction, shelter building, and trap construction), etc. And before you leave class, we’ll give you a long list of suggestions of great camping destinations. What will we learn? Gear knowledge and usage, knot-tying, fire-building, camp cooking techniques, and camping destinations.